Donorcentricity supports your vision to make the world a better place by helping you to achieve your fundraising and development goals. We are a values driven fundraising and development agency and have enjoyed working with non-profit organisations across Australia to develop their fundraising capacity and increase philanthropic sources of income. Our focus is on major donors, bequestors, corporate partners and trusts and foundations. Our ‘donor-centric’ approach makes us an excellent cultural fit for any not-for-profit that wants to work with an agency to implement a fundraising approach that is evidence based; highly personalised and respectful of individual donors; knows how to approach philanthropists for support in a sensitive, friendly and effective manner; and is expert at expanding networks of supporters into the philanthropic community in a ‘natural’ and ‘non-intrusive’ fashion. "Empowering individuals and organisations to champion a positive human experience, and to reduce inequality and suffering." You can count on us to reliably and effectively work with you to review, plan and implement evidence-based fundraising programs; conduct community consultation studies with the philanthropic community and increase fundraising income by bringing a donor-centric focus to your fundraising and marketing mix. The National Boer War Memorial Association. Mark has over 25 years senior management experience in development and consultancy roles for well-known not-for-profits and educational institutions. Mark began his professional career in marketing, first in publishing and telecommunications and then in development and fundraising roles for universities and not-for-profits. He developed an understanding of the art and science of capital campaigns as a Campaign Director working for Fundraising Management Consultants (FMC) on campaigns for The Royal Flying Doctor Service and Vision Australia. Mark has since built and directed many successful multi-million dollar fundraising and advancement programs. Mark established Donorcentricity Pty Ltd in 2012. In 2013 he completed feasibility studies for a professional medical association as input to their strategic fundraising plan and a national association preparing for a capital campaign. In 2014 he worked with a number of organisations to develop their fundraising capacity; a medical research institute in WA; an educational institution in VIC; a vision related charity in NSW; and he conducted a membership survey in NSW for Fundraising Institute Australia. In 2019 Donorcentricity Pty Ltd's clients are in multiple sectors and located across Australia, including clients establishing their fundraising strategy and clients with active capital campaigns. One client, the Perron Institute for Neurological and Tranlsational Science, has retained Donorcentricity as its fundraising counsel for over four years and during that time has grown significantly in terms of size and sources of philanthropic income. The Institute has achieved several very large donations, including a generous $10 million pledge from the Stan Perron Charitable Trust announced in June 2018. As Director, Institutional Advancement with Macquarie University, Mark developed and implemented an integrated advancement strategy and a University-wide fundraising campaign portfolio which achieved over $8 million in 2010. In 2011, the bequest pipeline was built to exceed $12 million (including confirmed and intending bequests), and in 2010 the first multi-million dollar confirmed bequest was secured; He established an alumni relations strategy and program which saw a large increase in alumni actively engaged with the University; Secured two sponsored professorial chairs and successfully implemented the University's first annual appeal. As Fundraising Manager (NSW) with the Australian Red Cross, Mark worked with national marketing to establish and develop a range of income generating programs with significant input to the development of major donor and bequest programs. Responsible for managing the NSW Fundraising Team to engage effectively with over 500 community groups involved in supporting the Red Cross Victorian Bushfire Appeal which generated over $320 million nationally. As the Campaign Director for major capital campaigns, he implemented the major phase of a $10 million campaign for the Royal Flying Doctor Service South Eastern Section and a $30 million campaign for Vision Australia. As Cards & Products Manager for UNICEF Australia, developed and implemented a multimedia based marketing campaign for the corporate and consumer markets and had oversight of emergency appeals and regular giving (the 'Global Parent Program'). As Marketing Manager for the University of Technology Sydney (UTS), Mark built and managed the University's corporate marketing function, developed the UTS brand and introduced a coordinated advertising and student recruitment program across the University. He has a Masters of Business (Marketing) from the University of Technology Sydney, a Postgraduate Diploma (Marketing) from Charles Sturt University and a BA Honours Degree (Sociology) from Goldsmiths College, London University. Peter has held senior fundraising and development positions in the education and not-for-profit sectors, including Head of Fundraising at St Vincents & Mater Health Sydney (six hospitals), Director of Development at the University of Western Australia and Executive Director of Institutional Advancement at Macquarie University. He is an expert at reviewing the fundraising and development status of organisations and establishing the necessary infrastructure and visionary strategic direction for fundraising and development operations to succeed. Peter excels at building relationships with high profile donors, volunteer supporters, patrons and ambassadors. He can transform an organisation’s capacity to achieve credibility and convey a compelling story so that it becomes an attractive proposition for philanthropic support. Peter took the lead role in establishing two very successful advancement and development operations in Australian universities, the Office of Institutional Advancement at Macquarie University and the Office of Development and Alumni Relations at The University of Western Australia. He helped to establish the Macquarie University Foundation in 2009, and UWA’s Hackett Foundation in 1998, both of which have been integral to the ongoing success of their respective fundraising programs. He has established international charities in the UK and USA, a 501(c)3 entity, Foundations, Trusts, Legacies, Bequest Societies, Annual Funds, Telemarketing and Major Donor Programs, all ongoing and successful to this day. He has successfully negotiated and stewarded many leadership gifts, bequests, corporate sponsorships, and grants from international foundations in the realm of tens of millions of dollars from each sector. He has specific capital campaign experience in responsibility for and overseeing the UWA Business School Campaign which raised upwards of $25 million, a campaign which paved the way and was integral to the recent successful completion of UWA’s $400 million Centenary Campaign. Peter also has extensive event production and management experience. He was completely responsible for all the amplified sound at 5 venues for the Papal Visit to Perth in 1986. This included the installation of a digital organ and amplifying the cathedral choir with 60 microphones for a Papal Mass for over 100,000 people at Belmont Racecourse. This Papal visit also included two other smaller venues with full installations including electronic organs and choirs, and one other Public Address installation at the Perth International Airport. He was responsible for many successful installations and events during the time of the America’s Cup in Perth, including the IBM America's Cup Media Centre, PACRIM International Conference with international satellite hookups, Collier’s Carols by Candlelight on the foreshore of the Swan River and the launch of the OTC Singapore to Australia Underwater Cable. 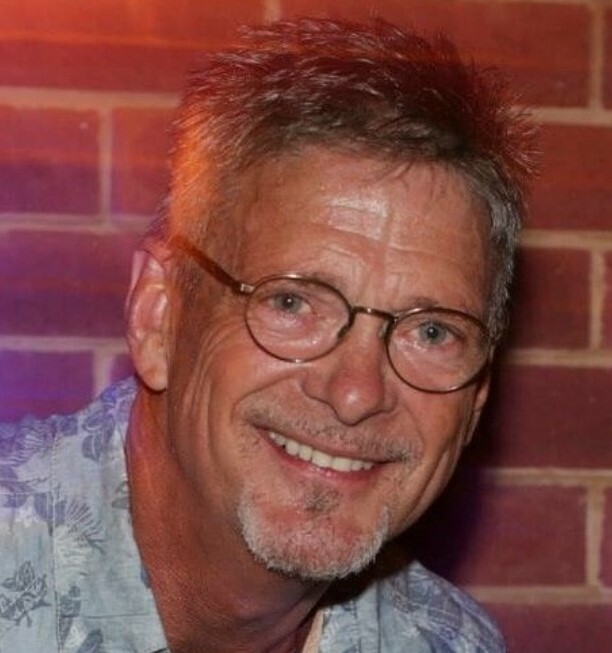 He has extensive audio mixing and recording experience in various large concert halls and venues, which included jazz bands, large orchestras, hundred voice choirs, large and small pipe organs and other digital instruments over many years. He was responsible for all the sound amplification requirements and recording of all classical music recitals and honours exams for the UWA School of Music for many years. While Director of Development at UWA he oversaw all ceremonial, audiovisuals, music and technical production aspects of all annual graduation ceremonies, University Open Days, the opening of the University’s CTEC building by HRH Queen Elizabeth II, the Nobel Prize Reception for Dr Barry Marshall and Emeritus Professor Robin Warren, Inauguration Ceremonies of Chancellors and Vice Chancellors, Hackett Foundation and Campaign launches. He has designed, produced and managed large concerts with 100s of performers and 1000s of audience members both on and at off-campus sites. 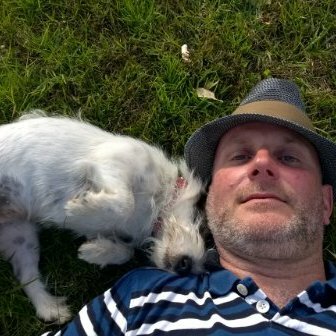 Peter also has extensive experience in acoustics, sound engineering, pipe and digital organs and in the production and mixing of other acoustic and electronic music sources, in live and recorded situations, in indoor installations and in outdoor productions for tens of thousands of audience members. Peter has helped to establish and manage several successful small to medium businesses, including the creation, design, implementation and management of a solid, secure, reputable private Pathology Laboratory which serviced several hospitals, had 38 staff and over 300 patients per day. He has sat on various Boards, including the NSW Ausdance and Australian Catholic University Business School. His recreational interests include sport and the arts, especially dance and music, and in particular he has a great love of the pipe organ, and its French and German repertoire through the Romantic and Modern period. Peter has a Bachelor of Science (Pathology) and a Bachelor of Arts (Music) from the University of Western Australia. Caroline brings over 25 years of marketing, business development, brand management and not-for-profit board experience to our team. As Deputy Vice-Chancellor International and development at Macquarie University, Caroline, Peter and Mark were instrumental in the establishment of Macquarie University's Office of Institutional Advancement. In its 40 year history the University had never taken any structured approach to fundraising, and from a standing start the office raised over $10 million in its first three years. At Macquarie, Caroline was heavily involved in the establishment of the Macquarie Foundation, in development of projects and donor relationships, and in stewardship of our major supporters. She had overall responsibility for the University's community engagement program, including the Macquarie University Art Gallery; Domestic and international events (e.g. the Macquarie University Research Awards; University Open Day; Graduations, etc). Caroline has held numerous senior marketing roles - as Global Director of Marketing for Accenture's Government business, she was instrumental in the growth of this US $1 Billion business unit, building relationships with leaders of government agencies across 22 countries. Other senior marketing roles included Director of Marketing at Bankers Trust, ATKearney and Deloitte. More recently she was Global Director of Business Development for Minter Ellison Lawyers. 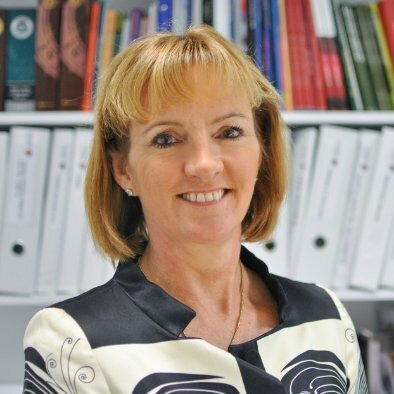 In the not-for-profit sector, Caroline has held numerous board positions and made a significant contribution to the fundraising and branding efforts of Melanoma Institute Australia, the Pathways Foundation and AFS Australia. Caroline has an MBA from Macquarie Graduate School of Management, a Graduate Diploma in Applied Finance from the Securities Institute and a Bachelor of Arts from the University of Canberra. She is a Fellow of the Securities Institute and a Member of the AICD. 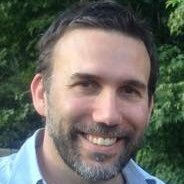 Andy joined Donorcentricity with over 25 years’ senior executive experience in rural, metropolitan, interstate and international fundraising and business development. He has a proven track record of growing income and exceeding targets across multiple channels, including cash appeals, regular giving and membership, 6/7 figure donations, gift in wills, corporate partnerships and grants. Andy has held senior roles with some of the most trusted, respected and recognised NFP organisations in Australia, including: Save the Children, National Heart Foundation, CanTeen, BirdLife Australia, Cabrini Health, the Australian Centre for the Moving Image, Southern Cross Care, the Lighthouse Foundation and the Heart Research Centre. At BirdLife Australia Andy completed a comprehensive overhaul of their Fundraising Strategy increasing overall income from $1.1m to $3.5m/$4m pa, increased major gift income by 300% and Regular Giving by 500%, generated additional funds by modifying the in-house direct mail strategy and re-energised the bequest and general donation strategies. Andy’s success at BirdLife led to him being recruited by the National Heart Foundation to lead the National Major Gift Pilot Program as Director Fundraising with overall budget accountability for income of $9.6m. With the Heart Research Centre Andy completed a comprehensive Fundraising and Development Strategy to increase major gift income by $1.8m and overhaul the Centre’s fundraising and development program. As Foundation Manager with the Cabrini Health Foundation, Andy introduced the first Patient Records Access Program generating significant giving from this previously untapped market and facilitated a number of 6 and 7 figure donations from PAF’s. Andy directed Fundraising for the Lighthouse Foundation and secured major new philanthropic donations from the corporate sector, high net worth individuals and Government. He was primarily contracted to secure a major partnership to underpin the organisation – and this was achieved with Honda MPE signing a $1.5M multiyear partnership with Lighthouse to open the Honda MPE Lighthouse Home. As Business Development Manager with Save the Children Andy established, managed and delivered a visionary Corporate Business Alliance whose membership included CEO’s/Chairmen of Shell Australia, VECCI, Transfield Services, Argyle Diamonds, Pacific Power and Rio Tinto to name a few. The Business Alliance generated almost $2m (in addition to existing income of $2.5m) over three years to support indigenous training programs in far north WA. As inaugural Director of the Foundation for the Moving Image, Andy developed the strategic direction for the Foundation and the selection and recruitment of Foundation Board Members. He developed a number of corporate partnerships, most notably with Crazy Johns which generated $500k+ in new income. 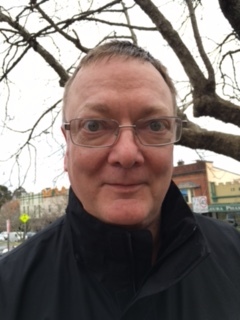 Andy has a BA from La Trobe University and a Grad Dip from RMIT and enjoys building capacity and developing long-term sustainability for organisations through effective engagement and consultation. Janine has worked at a senior level in corporate financial services marketing including eleven years at Westpac, four years with the Institute of Chartered Accountants and then five years as Head of Marketing at the Australian Stock Exchange. 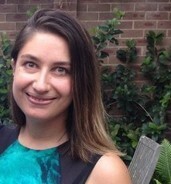 As a fundraising consultant for FMC, Janine conducted feasibility study interviews and worked on campaigns for Epilepsy Action Australia, Cabrini Hospital (Melbourne), Uniting Care Burnside, Sydney Symphony Orchestra, Australian Rural Leaders Foundation (ARLF) – Canberra, Ballan District Health & Care – Victoria and Macquarie University. As a contractor to the Royal Flying Doctor Service South Eastern Section, Janine was responsible for the internal management of a $10 million campaign initiated by FMC. As National Public Relations Manager for Westpac, Janine’s responsibilities included the bank’s national sponsorship program. This involved active participation in the development and implementation of fundraising strategies of a wide range of not-for-profit organisations including the Fred Hollows Foundation, the Westpac Lifesaver Rescue Helicopter Service, Clean Up Australia and many others. 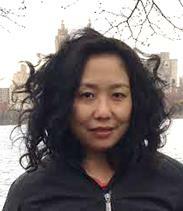 As consultant to and also as a member of the Australian Mathematics Trust Advisory Committee, Janine provided strategic marketing and fundraising advice, including managing the partnership with Westpac, then obtaining major sponsorship from the Commonwealth Bank at the completion of Westpac’s sponsorship contract. She has also consulted to the Sydney Institute of Marine Science (SIMS) since 2014 in a fundraising, business development and donor relationships capacity. Janine is actively involved in overseeing and resourcing campaigns. She has recently been consulting to the development team at the Australian Museum and has a passion for protecting heritage buildings. With a strong background in research and project management, Janine focuses on using appropriate and innovative resources to achieve each client’s objectives. Her experience encompasses feasibility studies, major gift programs and capital campaigns for medical research, education and the arts. Janine has been involved with a diverse range of not-for-profit organisations, both professionally and personally. Janine has a Diploma (degree equivalent) in Business Studies (Advertising) from RMIT University, Melbourne. Emma has over more than 13 years’ experience across the charity, not-for-profit, university and corporate sectors. A skilled and resourceful fundraising and communications professional, Emma thrives on challenges, growing and maintaining strong relationships, creating value and never letting an opportunity pass. Emma brings a warm, friendly, empathetic and personable feel to everything she does. Her key areas of expertise include business development planning; research and execution; public relations; brand building; media liaison and management; VIP and key stakeholder liaison and management; event conception, management and delivery; marketing campaign conception, management, content creation and delivery. Her most recent experience is as an integral member of the Office of Advancement at Western Sydney University where she was responsible for raising over $4 million during the 2017/18 period and working as part of the team to secure a $10 million gift to the School of Medicine and $1.5milion and $6million gifts for the NICM Health Research Institute. She has also contributed to the conception, research, creation and execution of a major fundraising opportunity for the University which included writing the case for support and gaining internal University support from Deans and Executive as well as working with the team to create bespoke philanthropic training opportunities for Deans and Researchers. At Redkite, Emma was responsible for working across leading corporate partner fundraising as well as leading the project management, development and delivery of Redkite's national Ambassador Program. She delivered the Sydney Swans Celebrity Match for Redkite including project management, recruitment of celebrities, sponsorship, media plan, event day management and fundraising and brand awareness opportunities. At Public Eye she managed the personal PR for a large number of actors, singers, presenters and comedians including working with Tom Hiddleston for the international Thor tour and for Andrew Lincoln for the international The Walking Dead tour. Emma worked as part of the team who developed, secured and executed endorsement deals for clients including Ewan McGregor for Davidoff, Cat Deeley for Links of London, Pantene and Walkers and Tom Sturridge for Burberry. As part of the Public Eye team she was responsible for working to create, conceptualise and organise VIP guests to attend the Louis Vuitton London Maison opening and private Louis Vuitton Art Talks. Her Public Eye clients and their chosen charities included Ewan McGregor, Tom Hiddleston and Cat Deeley for UNICEF, Bill Nighy for Oxfam, Emily Mortimer for Save the Children and multiple clients for Comic Relief. Emma has a Bachelor of Arts (Mass Communications, Journalism) from Curtin University. Chris is an accomplished leader with significant experience across the business and "for purpose" sectors in management, business development, fundraising, marketing, media and communications. He is extensively networked across the Canberra community and has a proven record of achievement, most recently working to ensure the ongoing sustainability of vital programs at Communities@Work, a broad-based social enterprise that provides a range of vital services to thousands of Canberrans from birth to senior years. Chris implemented a strategy at Communities@Work to diversify income sources to include fundraising as well as creative and innovative activities, social ventures and mutually beneficial relationships. He developed workplace giving, seasonal campaigns, and regular giving programs raising over $1.1 million between August 2012 and December 2016; Developed a bequest pipeline of more than $600k; Directed a partnership with St Vincent de Paul Canberra/Goulburn to develop and run the Canberra Community Sleepout, a signature fundraising event that raised over $170k for homelessness services in the Canberra region, with 1,608 people sleeping out. He developed the innovative “Best Dressed Store”, a social venture that produces profit that is used to purchase food and essential items for Communities@Work’s community pantries. From its launch in November 2014 until December 2016, this venture has raised over $200k. Chris also developed and implemented a partnership with four major shopping centres to install branded donation boxes that collect more than 15,000 donated food and essential items annually, and achieved $70k in sponsorship in the second year of the “Celebrate Gungahlin Festival” in 2016. At the Australian Institute of Management, Australia’s leading management association, Chris managed the ACT region with over 1,100 members and 100 organisations across the business, not-for-profit and government sectors in Canberra. He drove 65% revenue growth (from $1.8m to $3m) during and following the GFC. Chris has a Bachelor of Arts from the Australian National University, with majors in Sociology and English Literature. Chris’ postgraduate qualifications include Project Management. David is an expert at online information gathering and content creation. He also has in-depth experience working with trusts and foundations in his fundraising roles with Vision Australia and Epilepsy Action and 15 years’ experience working for a range of government, non-government and private sector organisations. David has built his own successful international business providing news gathering and selected media coverage for niche industries. 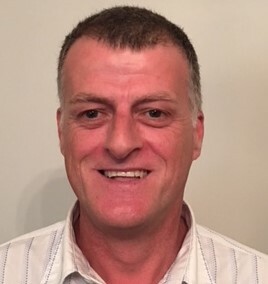 Most recently David has taken on a different role, joining Donorcentricity Pty Ltd to offer non-profits a unique blend of services including tailored online media monitoring, blog writing and grant application services. David believes in developing donor-centric relationships with trusts and foundations and working with them to truly understand their mission and objectives. He also enjoys collaborating with the staff from grant-seeking organisations to fully appreciate their services and develop compelling funding proposals. This often starts with interviewing program delivery staff to find out about the services and benefits they provide and from there tailoring proposals to fit the guidelines of the trust or foundation. David has a Bachelor of Arts (Sociology and Geography majors) and a Master of Arts (Sociology) from the University of NSW. Sharen is an executive level project manager with 20 years experience in the not-for-profit and corporate sectors. She is a highly experienced manager with excellent communication, organisation and planning skills. Over the past decade Sharen has successfully managed and coordinated projects (e.g. major special events, campaign videos, etc) for highly regarded educational and government institutions, including: Macquarie University; Balance! Healthcare's GP Super Clinics; a National Women's Alliance in Australia; Leiner Health Products in California; and a private equity firm, North Castle Partners, in Connecticut. Sharen has a Bachelor of Business Administration from National University's School of Business and Management, California, USA. On Ki has worked in administration and marketing roles for companies in Hong Kong and Australia. She has a Master of Medicine (Reproductive Health Sciences and Human Genetics) from Sydney University; a biomedical science degree from the University of Technology Sydney; and a diploma in business studies. On Ki is a passionate supporter of animal rights and environmentalism.